Book a trip to Padang with Tri Jaya Tour & Travel. We are happy to guide you around West Sumatra and the city of Padang. Ask us for the possibilities. 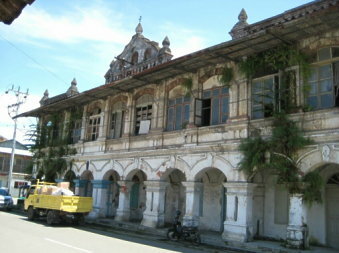 Padang is the largest city and the economic center of West Sumatra. 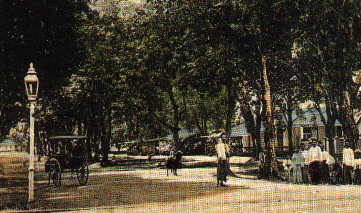 During the colonial period, the port of Padang was called Emmahaven, nowadays Teluk Bayur. When you make a trip from North to West Sumatra you end up in Padang from where you can fly to a next destination. Or one flies to Padang to make a tour through West Sumatra and then leaves again from this city. Until about 1780, the most important trade product was gold from gold mines in the region. After the mines were exhausted, the traders switched to other products such as coffee, salt, and textiles. In 1797, Padang suffered from a tsunami. Since earthquakes regularly take place in Padang and surroundings. From the end of the 19th century, coal from the Ombilin mines in Sawahlunto became an important export product. As a result of the coal industry, a cement industry was created in Padang, the so-called Padang Portland cement. The Portland Padang cement industry is the oldest cement factory in Indonesia, founded in 1910. The Dutch writer Eduard Douwes Dekker, writer’s name Multatuli, was stationed in Padang for some time in the 1850s as a government official.